VNC server is used to share graphical desktop which can be controlled from other computers . This guide is helpful to install VNC server on Ubuntu Desktop 14.04, Ubuntu server 14.04 and Ubuntu cloud 14.04 . 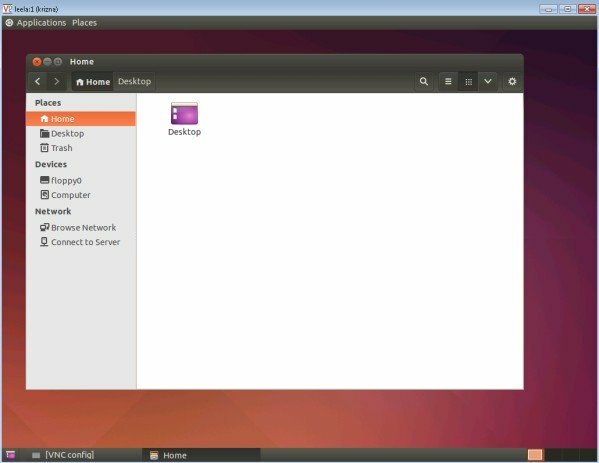 Basically ubuntu server and ubuntu cloud editions does not contains GUI, which needs to be installed before installing VNC server. Please note that server and cloud editions are carefully designed to utilize less hardware resources ( minimal environment ), installing GUI might leads to high hardware utilization. Issue the below command to install GUI on server and cloud editions. [email protected]:~$ sudo apt-get install --no-install-recommends ubuntu-desktopUse –no-install-recommends key to keep GUI minimal. this will skip extra tools and apps and will install only basic desktop environment with few supported tools . Ubuntu desktop users can skip this command . Step 1 » Start installing below gnome packages which helps VNC to load properly . These packages are required for all editions including ubuntu desktop . Step 2 » Now install vnc4server package. Step 3 » Open /usr/bin/vncserver file and edit as follows . Before editing, make a backup copy. Step 4 » Now type the command vncserver to start VNC session. you will be prompted for creating new vnc password. Step 5 » Now you can view your remote desktop using IP address and port ( Eg : 192.168.1.10:1 ). That’s it, your VNC server is working. 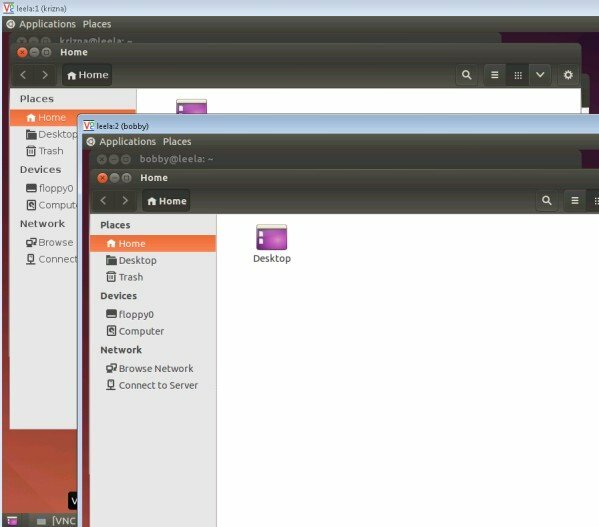 Just like centos and other flavours , you can run VNC server as service in ubuntu. This is very helpful, as it automatically starts vnc sessions when restarting the server. [email protected]:~$ sudo nano /etc/init.d/vncserver and add the below code . Step 7 » Modify execute permission for the file. Step 8 » Create vncservers.conf file in /etc/ directory as stated in service code. [email protected]:~$ sudo nano /etc/vncservers.confand add the below lines for starting vnc session for the user krizna. [email protected]:~$ su - bobbyCreate VNC password by the below command . 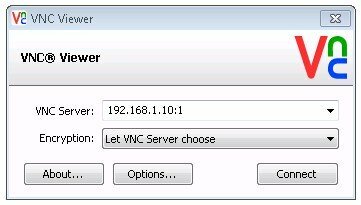 vncserver command ( step 4) is not required when starting as service . Add user to the file. Now user krizna can be accessed using serverip:1 ( 192.168.1.10:1 )and bobby using serverip:2 ( 192.168.1.10:2 ). Step 9 » Issue the below command to add vncserver service to default runlevels. Step 10 » Now start/restart the service.